Oregano is very tasty and most people like to have it with their favorite foods like pizza etc. Other than making your food yummy, it also has a lot of other benefits. Oregano belongs to the mint family and its leaves are widely used in Mediterranean cuisines. Its flowers are also edible and used in pasta, pizza and any broccoli dishes. You can use oregano leaves fresh as well as in its dried form. Dried leaves have stronger flavor. It is also used in medicines and has a lot of health benefits. Oregano is great for treating pimples and acne because of its antifungal, antibacterial and antioxidant properties. Many of the medicated skin care products contain oregano oil, such as foot creams, face wash and skin toner. You can also make your own face mask and skin toner at home using oregano. Take ¼ cup of aloe vera, one tablespoon of cucumber juice and three drops of oregano oil and mix them well. Let it remain for 5 mites and then wash off with cold water. Before using it, make sure that your skin is not allergic to oregano oil. Apply some of it on your hand. If your skin feels itchy, you must not use this face pack. If your skin is oily and you have acne, use this homemade oregano toner. Boil three cups of drinking water with some dried oregano leaves for 10 minutes. Strain it and keep it in an airtight container and store this in a fridge. Apply this all over your face or only on the affected area. This toner not only removes acne, but also provides you a skin that is oil free and tighter. You can use this for seven days. 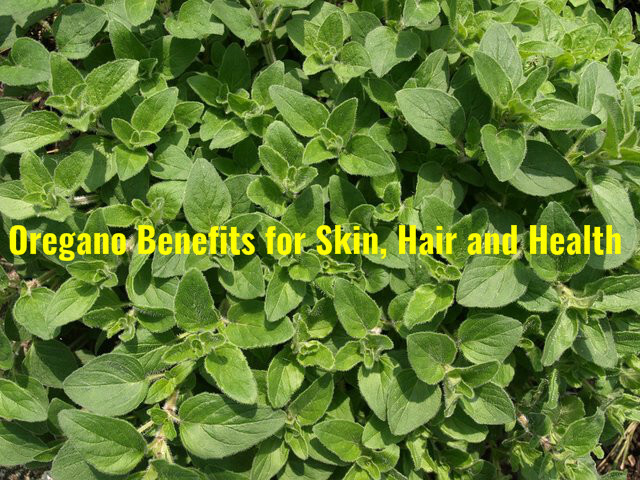 If your scalp heels itchy, you can use oregano oil as it has antibacterial properties. Add two to three drops of oregano oil to your hair oil. Olive oil, almond oil or coconut oil can be used. Apply this on your scalp and wait for 4 minutes. Wash your hair with a medicated shampoo. This can be used for color treated hair also. Mix 2 to 3 drops on oregano oil to your shampoo and apply it on your hair. Wait for 2 to 3 minutes and then wash off with lukewarm water. The home remedies mentioned above is good for treating hair loss problems also. Here is a mask you can use as a hair-detangle. Take one cup of water and add 2 tablespoons of dried oregano or fresh oregano leaves to it. Also add one tablespoon of vanilla extract to the water. Warm the mixture for 45 minutes on a low flame. Allow it to cool and then pour it into an airtight container. You can also put it in a spray bottle. Apply this all over your hair after you have washed your hair with shampoo and applied the conditioner. Towel-dry your hair and comb your hair. It is possible to use this mixture for seven days. Consuming the leaves of oregano is good for improving your immune system. Oregano is rich in Vitamin A and also in iron and manganese. If you suffer from menstrual cramps, chew the leaves of oregano and you will get relief. Oregano is loaded with Vitamins A and C. So, according to research made recently, one gram of oregano has 42 times more antioxidants properties than apples. This makes it very effective for fighting against free radicals and reducing the aging process and various skin diseases. Oregano is great for controlling the levels of cholesterol in the blood as it is rich in dietary fiber. It is also good for improving the functioning of the digestive system. This is because it is a good source of thymol and carvacrol. Thymol also has antibacterial and antiseptic properties. Thymol and carvacrol are very beneficial for getting you relief from fever, influenza and abdominal pain. When you sleep, thymol helps in soothing the body. Oregano is rich in minerals like potassium, manganese, magnesium, iron and calcium. Magnesium and calcium are needed for the proper metabolism of the bones, while potassium helps in controlling the heart rate and blood pressure caused as a result of high sodium in the body. Manganese is an excellent antioxidant and iron helps in the formation of red blood cells in the body, thus preventing anemia. Oregano oil is good for getting relief from congestion. All you have to do is to put three drops of oregano oil in a glass of warm water or juice and drink it daily for about 4 or 5 days. You will get relief. Oregano is good for treating irregular menstruation. It also provides you relief from the negative effects of menopause. Oregano oil has soothing properties, which provides you relief from the effects of allergies. Oregano oil is an excellent antioxidant and protects your body from various diseases as well as premature aging of the skin. The flow of bile in digestive organs is stimulated by oregano oil. If you suffer from mild indigestion, you can get relief by drinking a glass of milk, warm water or juice to which two or three drops of oregano oil is added. Oregano oil is a good remedy for treating itches, irritated gums and skin infections. Mix it with coconut oil or olive oil before applying it. Add one drop of oregano oil to one tablespoon of olive oil or coconut oil and this is ideal for applying on the skin. Are you suffering from cold and sore throat? Oregano is a good remedy for it. Take one glass of juice and mix two or three drops of oregano oil to it. Drink one glass of this juice daily, especially in winter times. You will see the difference it makes.